Protein Grab and Go Bites! I’ve always been a ‘Busy-Bee’ with owning my own business but the word ‘busy’ is on a whole new level now that I’m a #Mommy. During times of chaos…in between feeding my boy, tending to my boy, coaching clients, writing, doing laundry (2-3 loads a day with my Spitup Monster), dishes, running after 3 ferrets (yes 3!!) etc. etc. etc. it’s so easy to grab unhealthy fast food choices (and I have been guilty of this!). 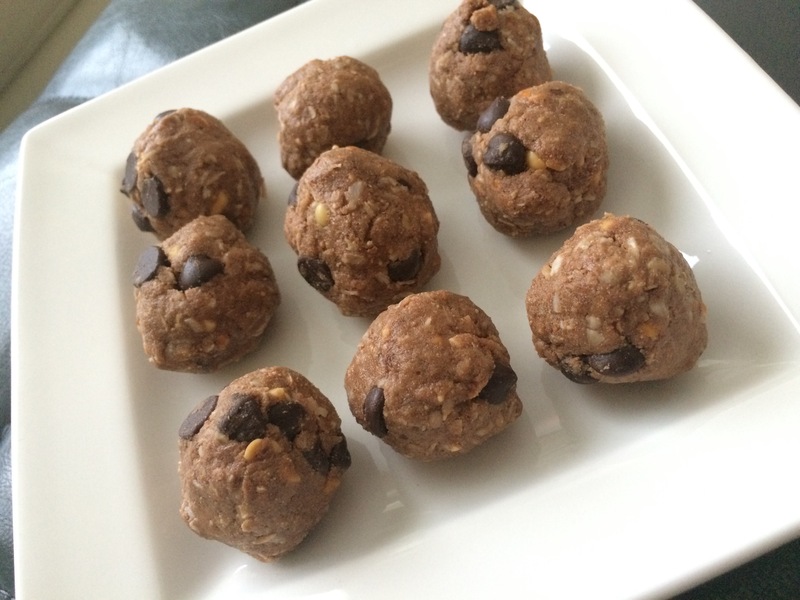 When I made these protein bites I was surprised with how filling they are! Refridgerate for a couple hours and they are ready to go! What type of protein is safe while breastfeeding?